I am a Therapeutic Stretching expert with 20 years of experience. 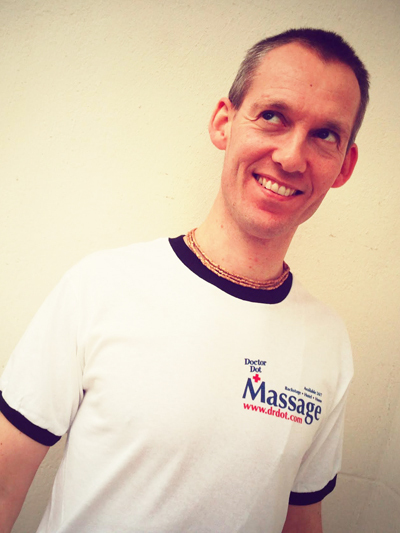 Therapeutic Stretching is a powerful blend of deep tissue massage, Yoga asanas, muscular manipulation techniques and stretching movements used by Olympic Gold Medalists, the English National Ballet and others. A 60 minute Therapeutic Stretching Massage and Physical Therapy Session includes gentle assisted stretching, muscular manipulation and deep tissue massage. Benefits to expect: more strength and relaxation in the muscles, relief from stress, relief from muscle pain, recovery from injuries, relief from back pain and knots, a clear view on correct body posture and many other benefits. I was born in Amsterdam, and was trained by Mr. J. Shaw, one of the founders and pioneers of Therapeutic Stretching. Soon after completing my training, I became his main assistant and practiced alongside him for 10 years as well as gave my own yoga classes (3 years) in Amsterdam, Haarlem and Eindhoven (Amsterdam School of Massage, numerous yoga studios, private classes). I also worked with Els van der Horst on introducing children to Therapeutic Stretching in a fun, playful manner.